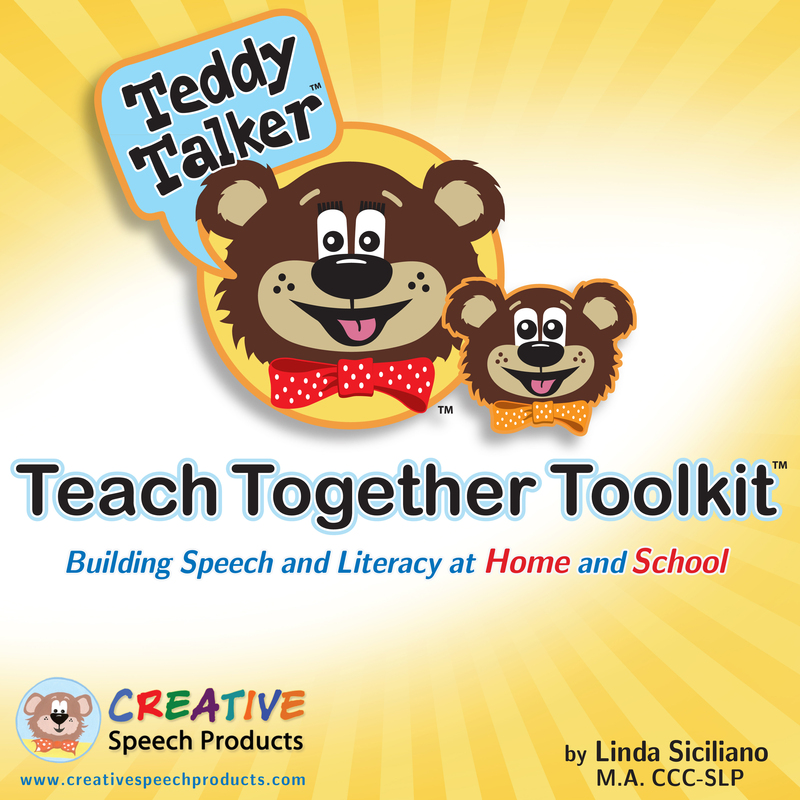 This is a unique and completely interactive home and school system to build connections between speech and early literacy. 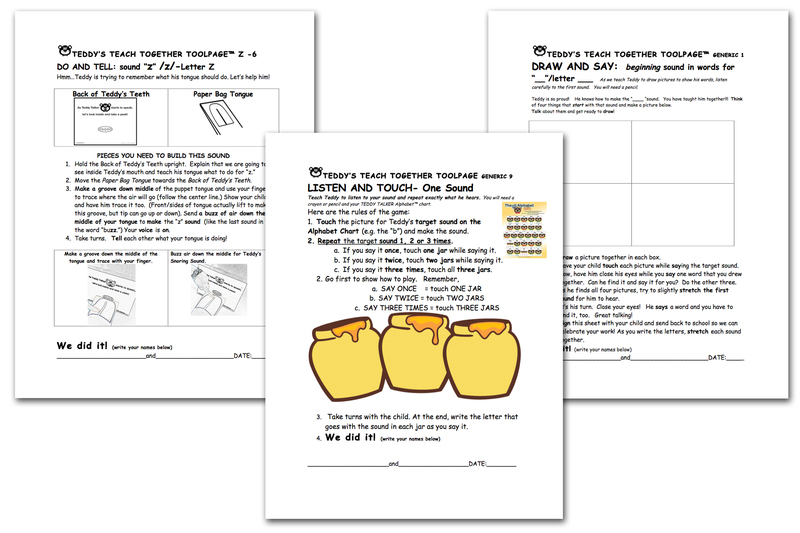 The Teach Together Toolkit™ is designed to connect educators and families. 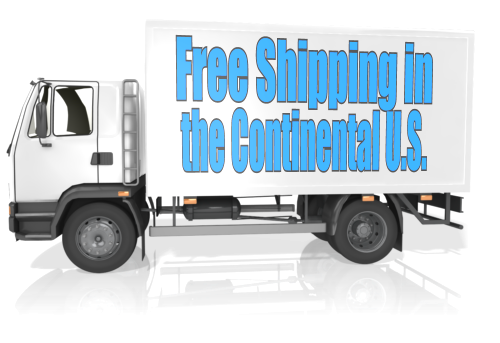 It is filled with reference materials and activities for the classroom, special education or therapy settings. “Toolpages” can also be sent home for practice. 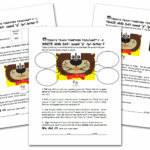 The binder uses child-friendly Teddy Talker® visuals from in the Foundation Kit, Mouth Position Cards with Reinforcement Rhymes and Teddy Talker Alphabet Chart. 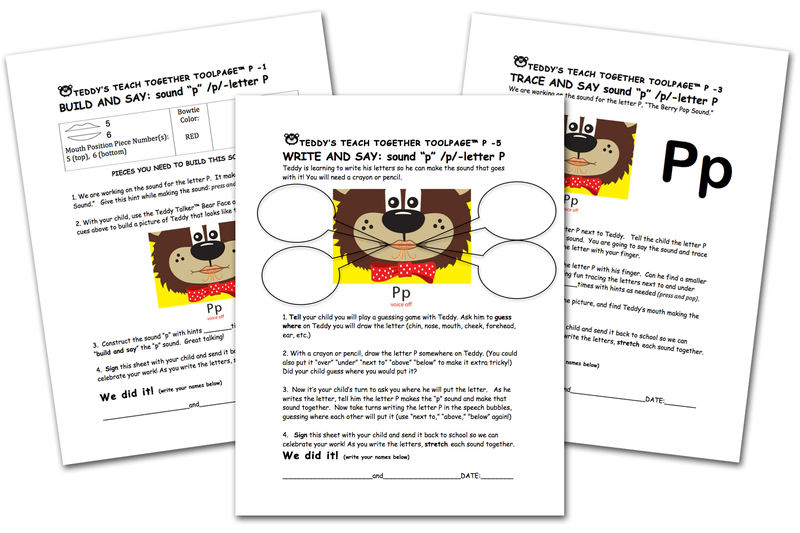 It contains focused practice on 38 sounds to develop phoneme-grapheme correspondence along with generic “Toolpages” for customized instruction. 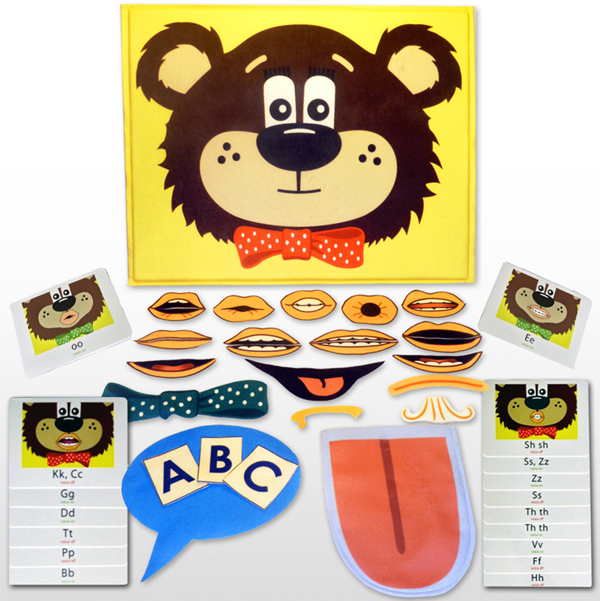 There’s even black and white and color versions of Teddy’s Bear Face, Back of Teddy’s Teeth, articulators and cues to teach Teddy his sounds! The kit also embeds early literacy and language experiences such as rhyming, spatial terms and interactive writing in a systematic and engaging way. With every purchase of the Toolkit, there’s an added bonus: A free digital download of the full book! This digital version (in PDF form) will provide greater flexibility to search, print, and download to an iPad/computer for the educator on the go! 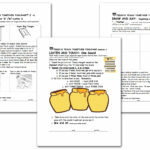 There is also a DIGITAL ONLY version of the Toolkit available for $49.95 as a separate product. 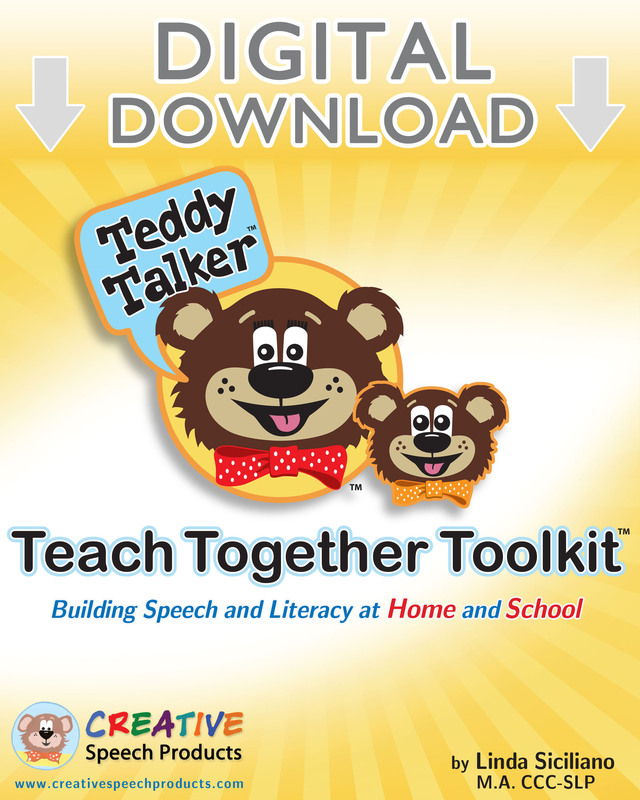 Check out our innovative Teddy Talker® Teach Together Toolkit, the complete home and school resource from Creative Speech Products. 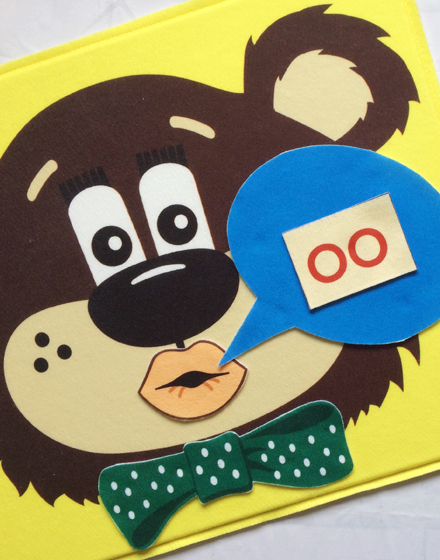 With Teddy Talker,™ learning sounds and letters together is grrreat fun!